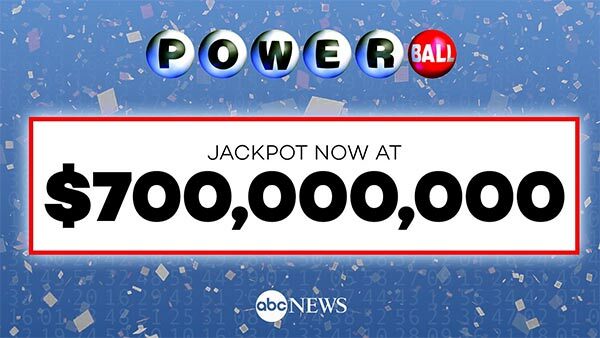 DES MOINES, Iowa -- The Powerball jackpot has increased to $700 million, making it the second largest in U.S. history. The prize for Wednesday's drawing has grown so massive because it's been more than two months since a jackpot winner, on June 10. The prize remains far less than the record $1.6 billion prize won by three people in January 2016.